(PRLEAP.COM) January 28, 2015 - Roc with the Docs is the annual dinner dance and premier fundraising event for the Boys & Girls Clubs of Marion County. An elegant evening of fine dining includes an exciting silent and live auctions which is followed by an evening of dancing backed by an "all doc" band. 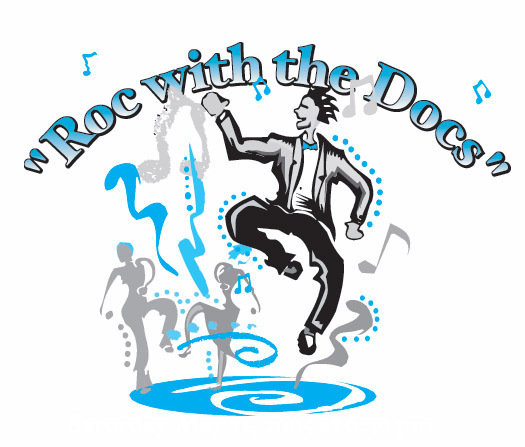 Roc with the Docs gives attendees opportunity to experience an evening of fun while supporting children in our community who need us most. This year's event will be held Friday, February 7th, at the Hilton of Ocala with events and auction beginning at 6 p.m. Individual tickets and several levels of table and group sponsorship are available. The gala event features the band, Second Opinion, which is composed of area physicians and healthcare professionals. The event is organized by the Boys & Girls Club board of directors, staff, members, and volunteers and a key to the event's success are the corporate, business, and individual sponsors. This year's silent and live auctions offer incredible items and vacation options on which attendees can bid. The Boys & Girls Clubs open when schools let out. This past year over 900 children participated in after school and summer programs offered at the three Marion County Club locations of Ocala, Silver Springs Shores, and Dunnellon. Club members participate in tutoring, health and physical education activities, arts and crafts, and other activities, including sports and leagues. Club programs and services promote and enhance the development of boys and girls by instilling a sense of competence, citizenship, and belonging. Boys & Girls Clubs are a safe place for children and youth to learn and grow – while having fun. This is a benefit program for the Boys and Girls Club and offers support for local children and youth who are most in need. Individual seating for the dinner event is $125 per person and sponsorship seating is also available (table/business sponsorship includes additional benefits). For more information about the Roc with the Docs or the Boys and Girls Club, call 352-690-7440 or email cponder@bgcofmarion.com.